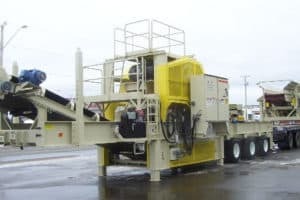 Portable Design: Move from quarry to quarry with minimal setup time. 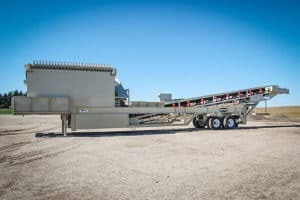 Modular Design: Separate up to three hoppers and three conveyors. Engineering customization to match each hopper to your exact application. 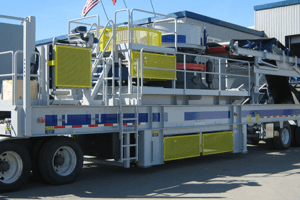 Durable, Superior brand plant chassis for portable screening, crushing and washing decks. 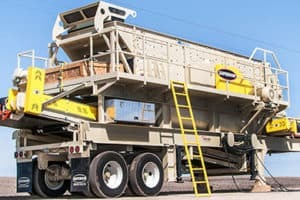 Single source supplier for portable aggregate equipment manufacturing, sales and service. Innovative designs improve operational efficiencies and product quality. Industry-leading technology in portable equipment innovations. Quick transition from operation to transport mode. Large, water system equipped feed hopper ensures maximum production to the screen. Spray bars on each deck ensure maximum material washing. Flexible to design and manufacture units for custom performance. Highly portable units are designed for fast setup and take down from site to site. Heavy-duty conveyor systems manufactured with tried-and-true Superior brand components. 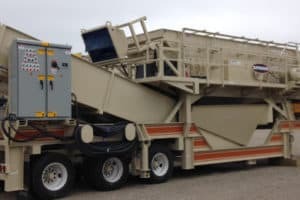 Single source of chassis, conveyors and components for portable aggregate processing plants.